So: mo’ better beer! An early bird incentive!! The Best Beer Fest in Rhode Island gets even bester!!! So: at high noon on August 7, click here and get those early bird tix! Monday, 8.1: A Meet the Brewer event at Sandy’s Liquors [717 Aquidneck Ave, Middletown] at 4:30 pm, with the chance to buy bottles of the Vanilla Rye variant of Bourbon County Brand Stout. Tuesday, 8.2: A Flight School and Food Pairings session at Brick Alley Pub [140 Thames St, Newport] from 6:30-8 pm, featuring Sofie, Matilda, Bee Squad, Madame Rose, and Regal Rye BCBS [limit 50 people; call 401.849.6334 for reservations]. Also on 8.2: tap takeovers at the Gas Lamp Grille [206 Thames St, Newport, 8 pm] with 2014 BCBS, Green Line Pale Ale, 312 Wheat, Honkers Ale, and Madame Rose; and at Pour Judgement [32 Broadway, Newport, 9 pm] with 2013 BCBS, Pepe Nero, and Proprietor’s BCBS. Wednesday, 8.3: A Nightcap with the Brewer session at Norey’s [156 Broadway, Newport] at 9 pm, featuring pours of the “sour sisters” – Juliet, Madame Rose, and Halia. There are also two invite-only events –- and we can invite a pair of Bottles & Cans readers to each of ’em! On Wednesday, there will be a Coffee & Beer Class at Empire tea & Coffee/Tavern On Broadway [16/22 Broadway, Newport] from 4-5:30 pm, with BCBS 2015 and BCB Coffee Stout. Wilmott will discuss the malting process and how it compares to coffee roasting. And on Thursday [8.4]: a Beer & Cheese Class at Fluke [41 Bowen’s Whartf, Newport] from 4-6 pm, with “curd nerd” Cara sharing enlightenment in cheese, charcuterie, and sweets pairings, featuring Sofie, 312, IPA, Matilda, and Halia. Send an e-mail to bottlescansclaphands@yahoo.com with the subject “I WANT TO ATTEND THE CHEESE CLASS” or “I WANT TO ATTEND THE COFFEE & BEER CLASS.” And PLEASE ensure that you can attend the event[s]; we need to submit the winners’ names on 8.1 and don’t want to waste a space on no-shows. Cheers to the exemplary beers from Chicago! [This info was updated on 7.31; see this new post for the latest info.] We’ve typed it before, we’ll type it again: “There’s no such thing as a bad beer fest. But there are very few great beer fests. As you should know by now, Beervana is a great beer fest. As we state every year, it’s an overwhelming array, a bevy of ultra-rare/exclusive/unique/simply excellent liquid gold poured by pros — owners, brewmasters, distributors — who pride themselves on raising the bar for better beer.” And it’s greater every year. 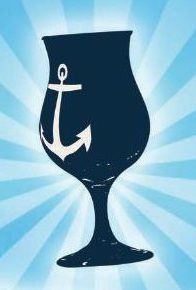 The RIBG will be hosting its second annual Ocean State Beer Festival on Sunday, September 25 from 1-4 pm, featuring your favorite homestate breweries and beers! This year’s festival will be held at Foolproof Brewing Company at 241 Grotto Ave in Pawtucket. Each participating brewery will bring 2-3 of their standard year-round or seasonal beers, plus one special brew. Tickets are limited, so reserve yours today and support your local breweries! We’ll be opening Wednesdays as well for the remainder of the summer, 3:30-7 pm. We have very limited cans remaining. Will set a limit today [7.27; click through to Proc for the update]. Sprout, Tendril and Derivative: Citra in growlers and Perkatory in bottles. 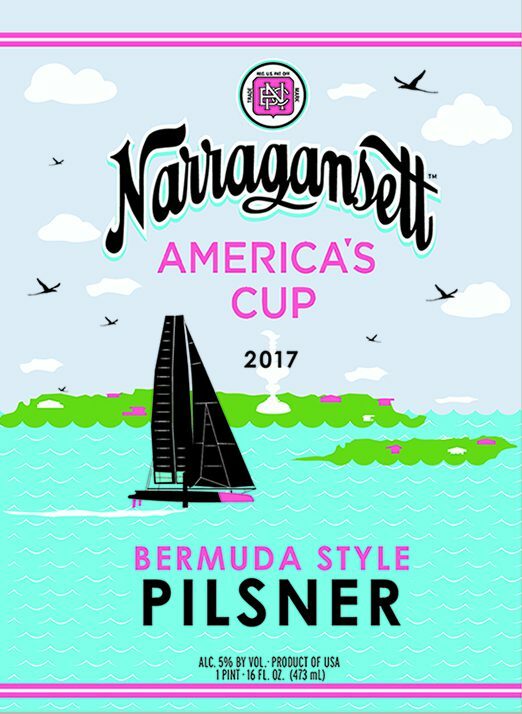 Narragansett Brewing Company was the proud sponsor of the America’s Cup in the ’60s-’80s and many recall the Cup being defended [and lost] in Newport. In June 2017, the world’s best sailors and fastest boats will converge on Bermuda to challenge for the oldest trophy in international sport. Bermuda-Style Pilsner celebrates that tradition and the upcoming America’s Cup. It’s an all-malt pils made with two-row pale and Carapils malts and German Hallertau hops. It comes in at 5% ABV and 25 IBUs and is currently available in 16-ounce cans [draft will be distributed closer to the 2017 race]. We are excited to announce the release of Rhode Sodah. The launch of this brew marks the first addition to our year-round lineup in four years and it’s the first time a Storm brew has been packaged in a 16-ounce can! This golden-colored ale [4.9% ABV, 37 IBUs] is bursting with juicy hop flavor and a touch of bitterness. El Dorado, Citra and Equinox hops give off flavors and aromas of orange, tangerine, and mango. Canada Pale and honey malt offer a crisp, clean finish. 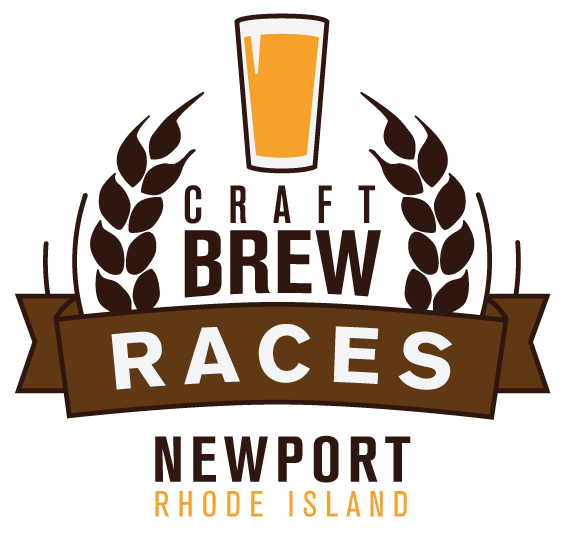 The summer’s best Rhody beer fest is almost here: The Craft Brew Races event will take place at Fort Adams State Park in Newport on Saturday [7.16]. A 5K run/walk [at noon] is followed by a beer fest [12:30-4 pm], with more than 30 breweries [and ciderists and seltzerists] pouring tantalizing samples of fermented goodness, plus food [trucks and vendors] and music [Jason Cardinal] and all-around big fun [real talk: the 2015 bash was a swell time]. 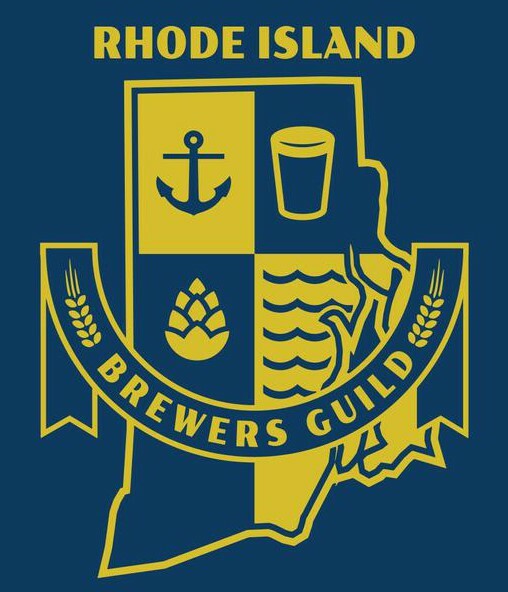 Advance tix are $55 for the race and fest, $45 for the brew fest-only [$15 for designated drivers], and will cost $10 more at the gate [proceeds benefit the Rhode Island Brewers Guild]. Who’s pouring what at the Fort? Glad you asked! We have the exclusive beer list [all info subject to change, natch], with many TBAs and more brews to be added to the entries with one offering. But there will be a slew of surprises from the locals — finding out what they bring is part of the fun of showing up! Plus: ciders from Angry Orchard, Austin Eastciders, Champlin Orchards, Downeast, Lookout Farm, and Woodchuck, and seltzer by Nauti, Spiked, and Truly. Even with unlimited — and responsible — sipping, you can only sample a fraction of the tantalizing treats. So plan ahead — work the list and pencil in a few must-tries! Then enjoy the bounty of local brews and chat with their creators! Explore the wide range of brews from other states! Compare notes and swap ale tales with fellow beer enthusiasts!! Discover a few new favorite brews to enjoy year-round!! Wear pretzel necklaces!!! [And bring the sunscreen: it’s gonna be hot at the Fort!] Go!!!!! Six beers from the esteemed Japanese brewery will be on tap; the list will be posted here ASAP. The Hitachino Nest selections will start pouring on Friday [7.15] at 4 pm. Kanpai [that’s Japanese for “drain the glass”]!